By now, you probably know you need to wear sunscreen every day, especially if you’re hitting the beach or spending any significant time outside on a sunny day. But you may not be aware that proper sunscreen use is about much more than slapping on a product with sufficient SPF. In reality, you’re only protected if you’re using the right application (and reapplication) technique. The fact is that proper daily sunscreen use is required if you want to get all the benefits, particularly preventing skin cancer and premature skin aging. 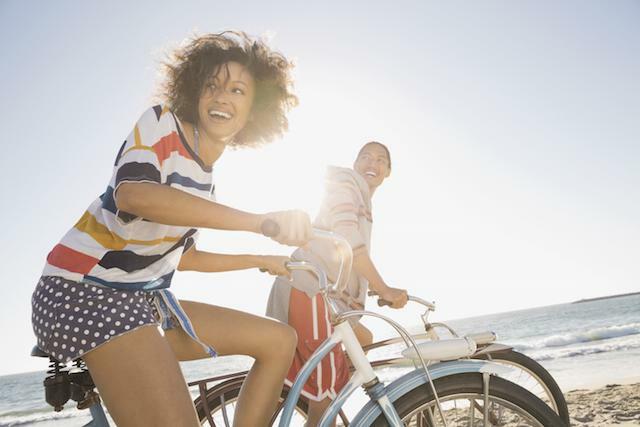 As it turns out, say Neutrogena® experts, your sun protection routine needs to start before you arrive at the shore. To be properly protected, you need to apply sunscreen to your entire body at least 15 minutes before you’re exposed to the sun. Why? Sunscreen’s chemical ingredients need time to sink into your skin before they can effectively do the job. So if you’re waiting until you hit the sand to grease up, you’re doing it wrong. 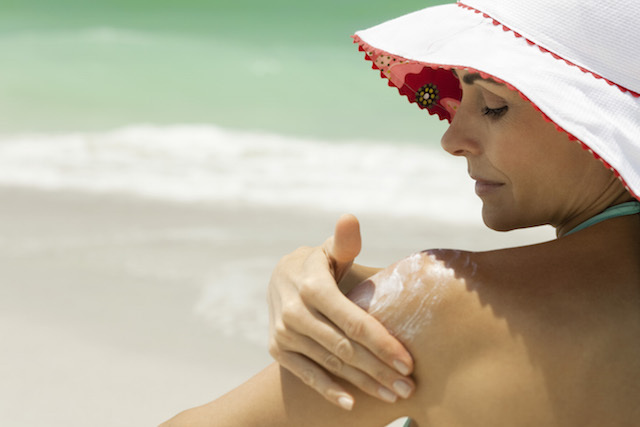 Another thing many consumers get wrong with sunscreen is the amount of product they use. To get the SPF coverage depicted on the package, you need to apply at least one ounce, or a golf-ball sized amount, to your entire body. Many consumers use less for fear of feeling greasy or clogging pores. Using the right amount is essential for proper protection from the sun’s rays. If you’re concerned about greasiness, particularly on your face, there are grease-free options like Neutrogena Ultra Sheer® Dry Touch Sunscreen line and the Neutrogena® CLEAR FACE® Liquid Lotion Sunscreen. Both formulas sink right in with no oily residue. You’ll want to stash your product in the beach bag because you’ll need to reapply at least every two hours. If you’re sweating or swimming, make that every 80 minutes. Shockingly, experts say, 75% of consumers don’t reapply sunscreen at all, though it’s essential to stay protected during a day in the sun. 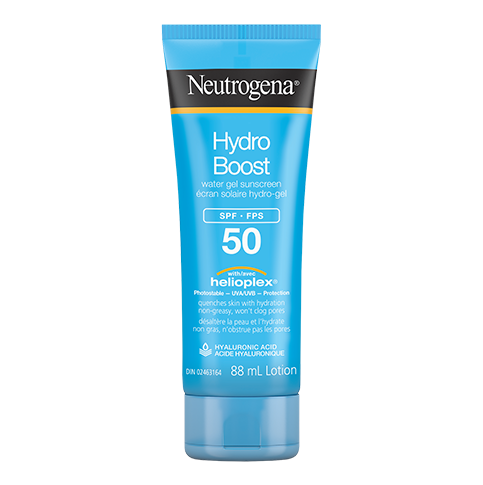 An easy way to stay covered is a spray sunscreen, such as Neutrogena CoolDry Sport® Sunscreen Spray or Neutrogena® Wet Skin® Sunscreen Spray if you’re a swimmer. Or if you prefer, try a stick sunscreen, like Neutrogena Ultra Sheer® Face & Body Stick Sunscreen SPF 50+, to ensure coverage of less-sprayable spots. If you’re using spray sunscreen, it’s best to spray the skin liberally and then rub it in for even and complete coverage. And the stick can be quickly swiped over the face and rubbed in for a less messy reapplication than a lotion.